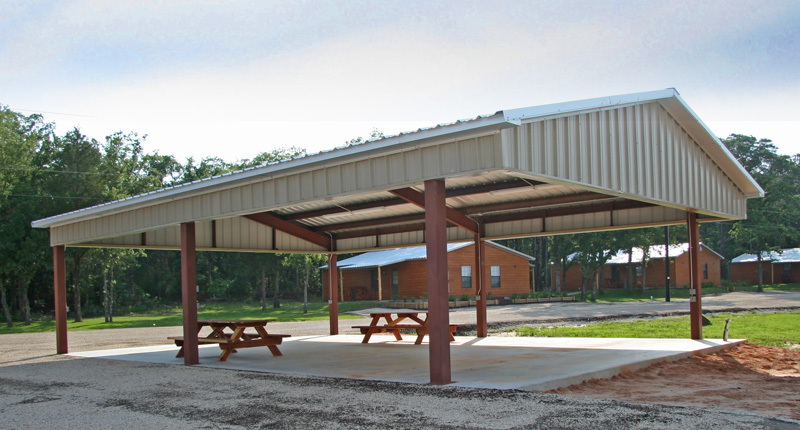 In addition to the great qualities of our 28 fully furnished cabins and 42 paved, full hookup RV sites, Shady Oaks features a number of other amenities offered by few other parks in the area. Free to all of our guests is the use of our Outdoor Pavilion. 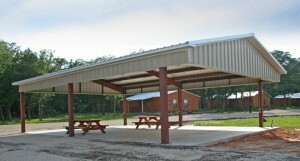 The pavilion is fully covered with picnic tables and has electricity. It can accommodate large parties and has a barbecue grill for your use. Every cabin features cable television and WiFi internet. Our laundromat features 4 washers and 4 dryers. It is also cleaned everyday and stays open 24 hours. To make your stay easier and more comfortable during inclement weather, the roads, parking spaces and all RV sites are paved. Our fishing pond is over 20 feet deep. Please no swimming. 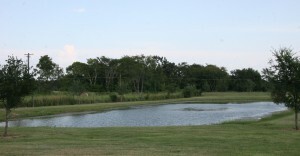 It is also fully stocked with a variety of fish including catfish, and is available to any occupant of Shady Oaks– Catch and Release Only.